Simon Cowell has hinted he's unhappy with Liam Payne's new record deal by calling the singer's One Direction bandmates loyal. Liam announced last week (ends24Jul16) that he had signed with Capitol Records to embark on his solo career, making him the first member of One Direction to officially confirm a new record deal, and move away from the band's label Sony, during their hiatus. 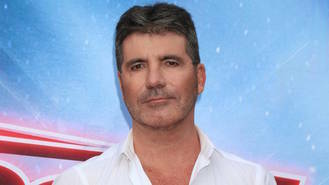 Simon hinted he was unhappy with Liam's deal in a chat with Thesun.co.uk, by failing to mention the pop star when praising his three bandmates Niall Horan, Harry Styles, and Louis Tomlinson. Harry and Niall are both working on solo material, but Harry has reportedly signed a deal with Columbia, which is still part of Sony, and Niall is thought to be sticking with Simon's company Syco. Liam announced his next career move on Twitter, writing, "Happy to have signed to @CapitolUK. They have an amazing history of artists, I hope I can follow in their footsteps... One direction will always be my home and family but I'm very excited to see what this chapter brings." According Britain's The Sun newspaper, Liam has reportedly signed with David Beckham's management team Doyen Global - another move away from One Direction and their team Modest. “Liam has made a bold move going solo so why not go for management of the highest calibre," the source said. “He also already has a huge profile so the scope to increase his brand further is obvious." Liam will be the company's first musical signing, as it usually specialises in sport and film. Doyen's co-founder and managing director Simon Oliveira is Beckham's publicist, adviser and close friend. Ellie Goulding is reportedly suffering from insomnia but is hoping to beat it with "exercise and natural remedies". A new Pink Floyd box set is to contain never-before released material. Sir Rod Stewart will cover The Beatles song 'Sgt. Pepper's Lonely Hearts Club Band' for the Netflix animated series 'Beat Bugs'. Guns N' Roses have extended their reunion tour into 2017. Zendaya was "such a nerd" when she met her hero Beyonce. Rihanna, Kendrick Lamar, Major Lazer, Metallica and Selena Gomez will headline this year's Global Citizen Festival in New York. Lenny Kravitz says "chilled" Guns N' Roses no longer party like they used to. Selena Gomez feels "honoured and proud" after being announced as one of the headliners for the 2016 Global Citizen Festival. Rage Against the Machine's Tim Commerford is going to "throw a wrench in the establishment" in London with his new band Wakrat.